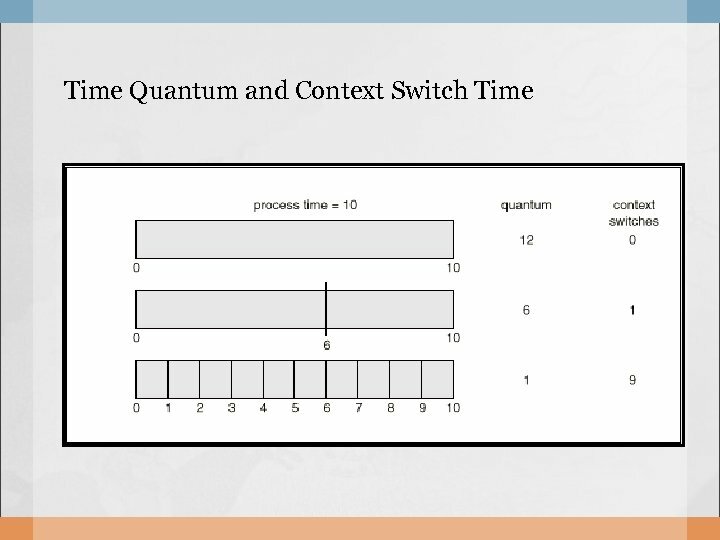 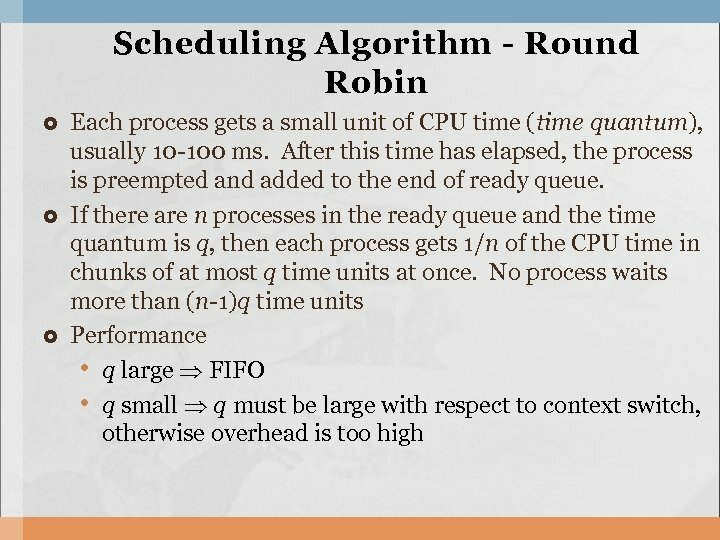 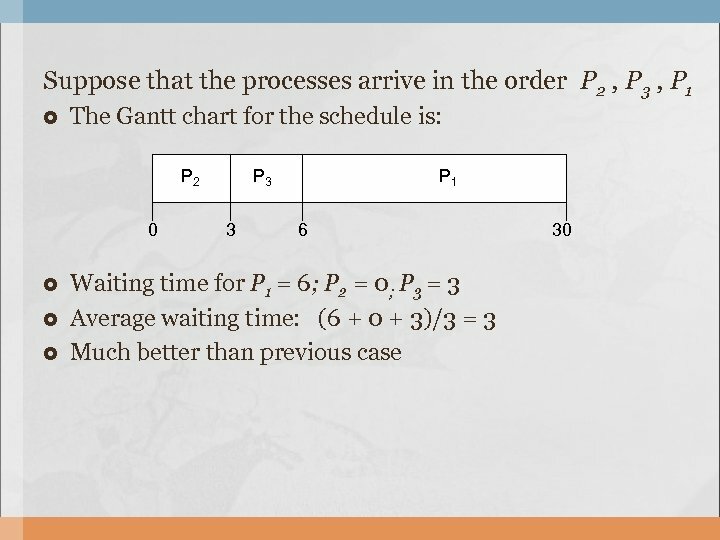 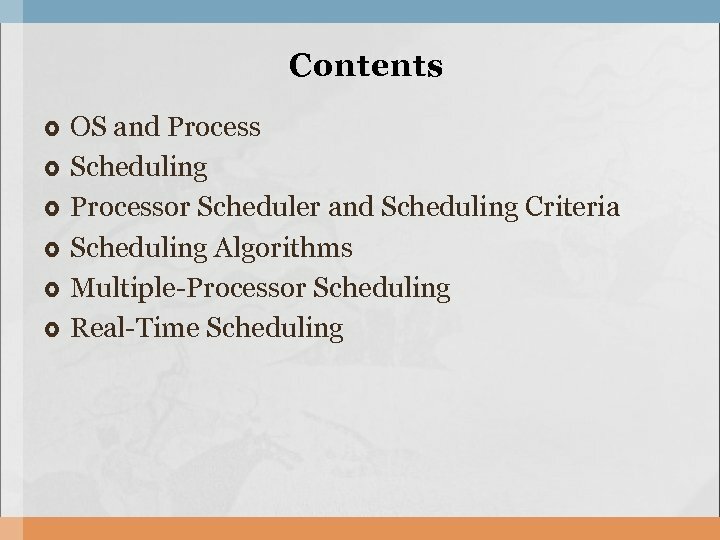 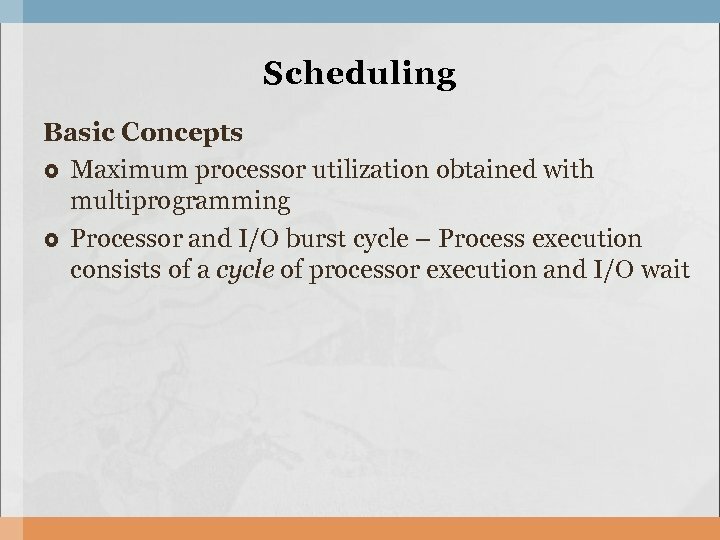 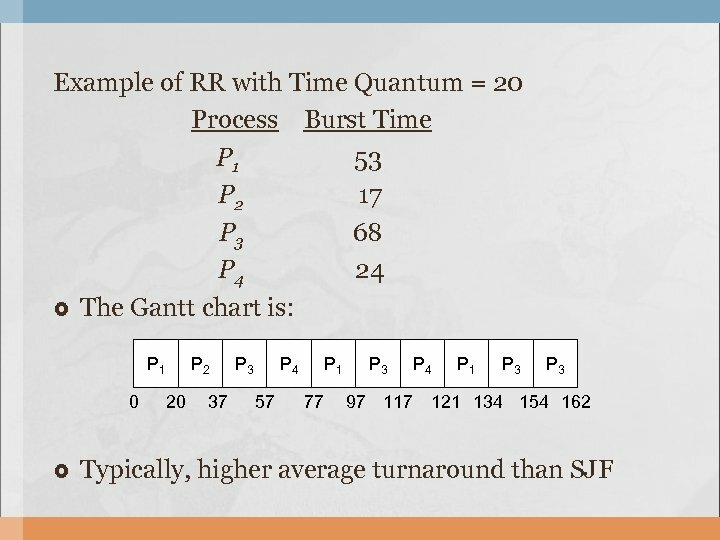 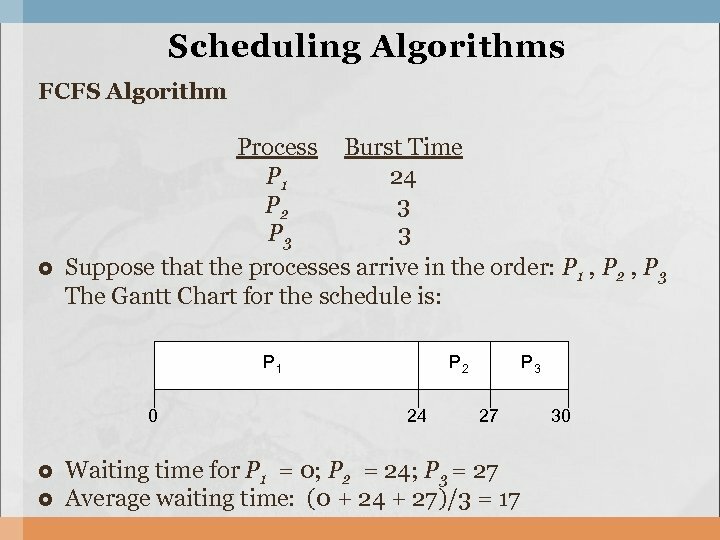 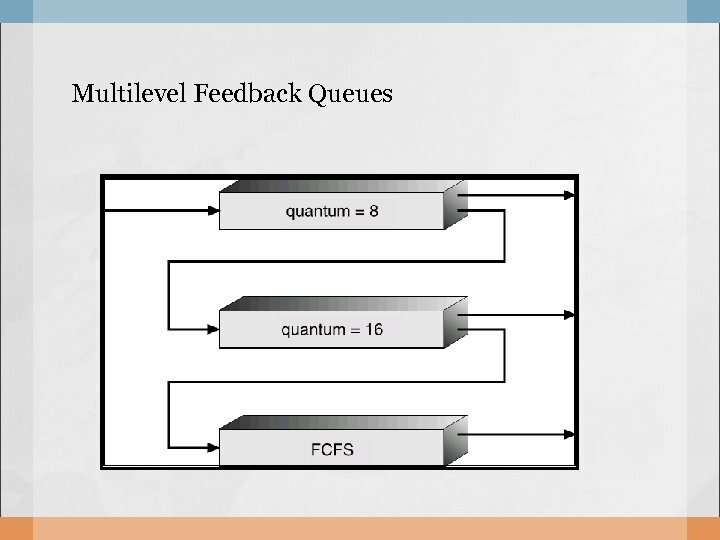 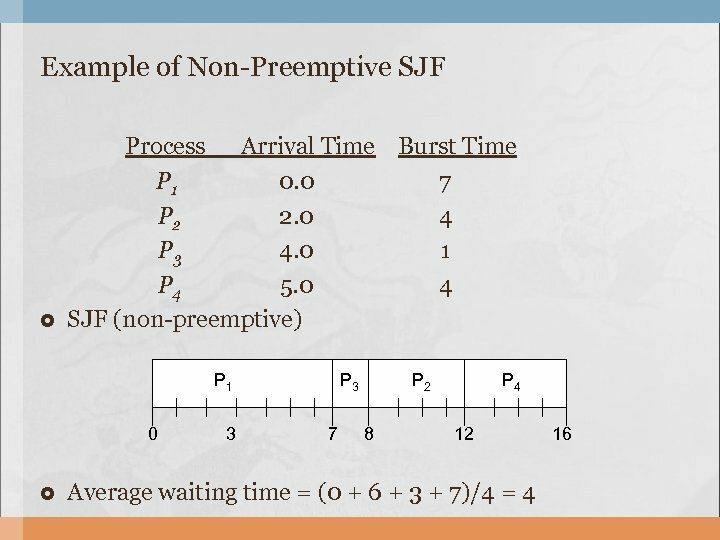 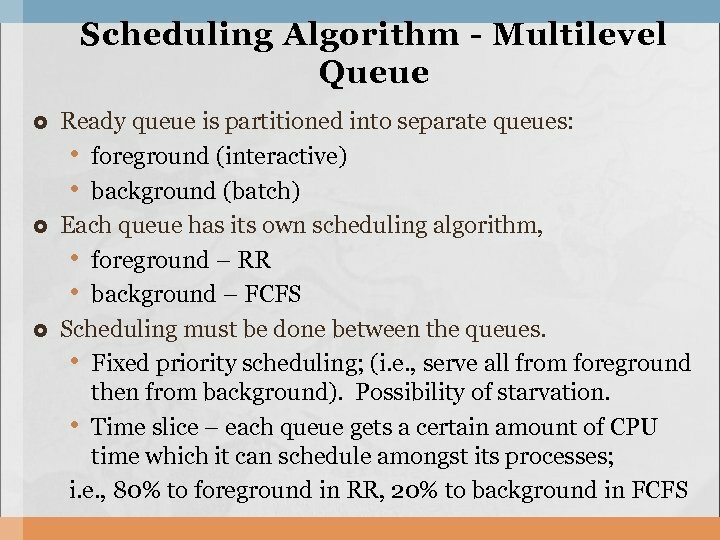 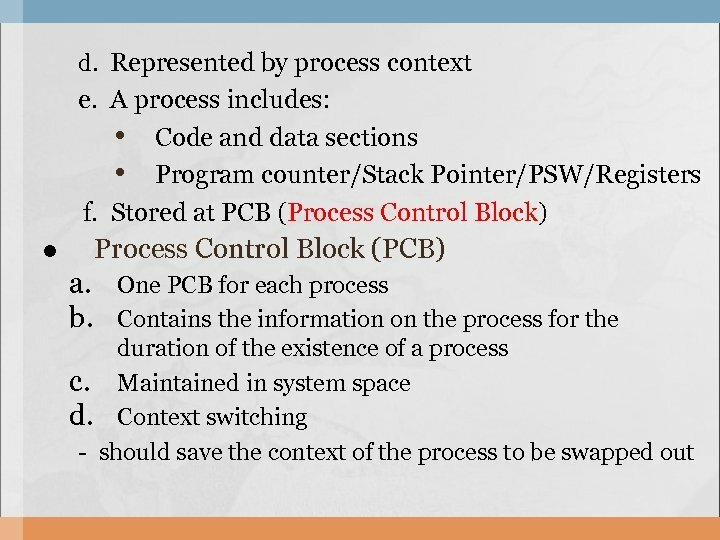 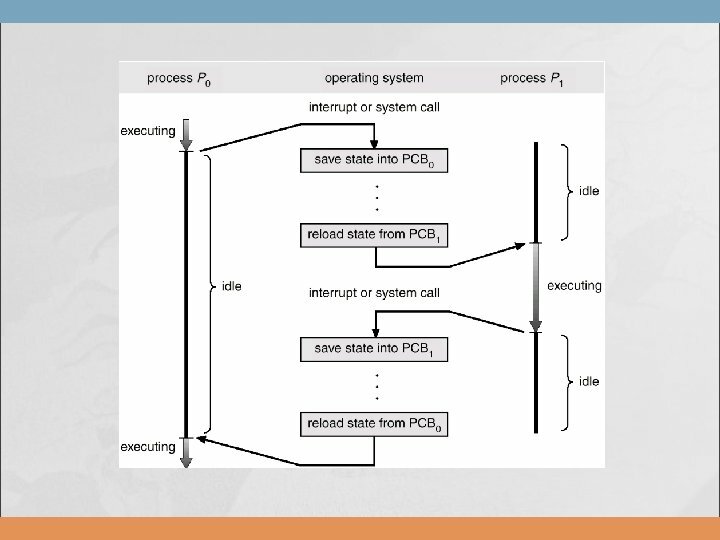 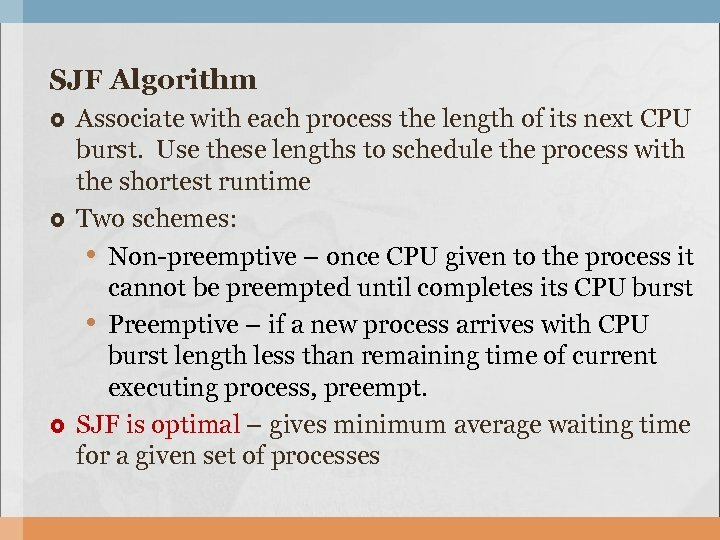 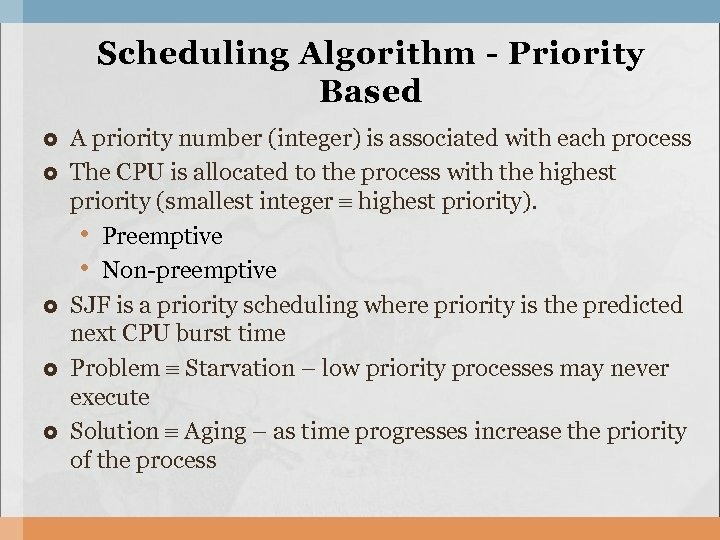 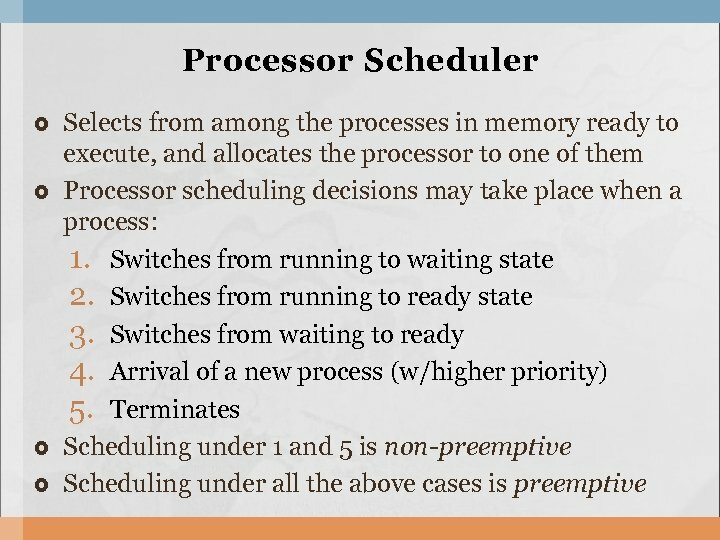 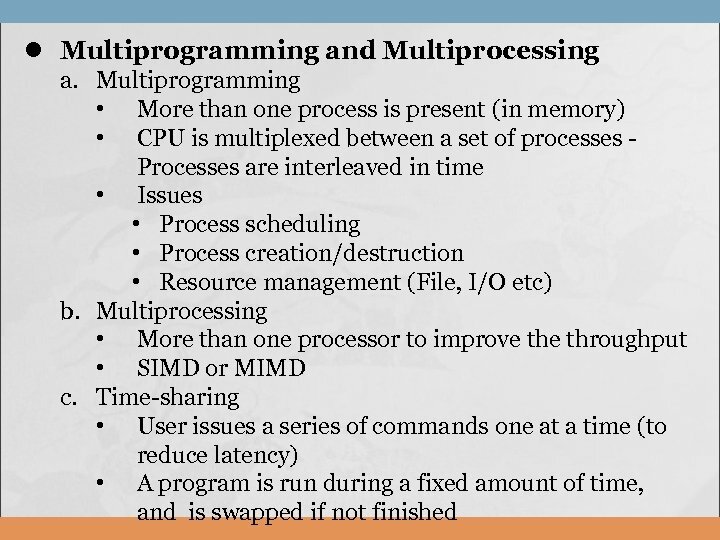 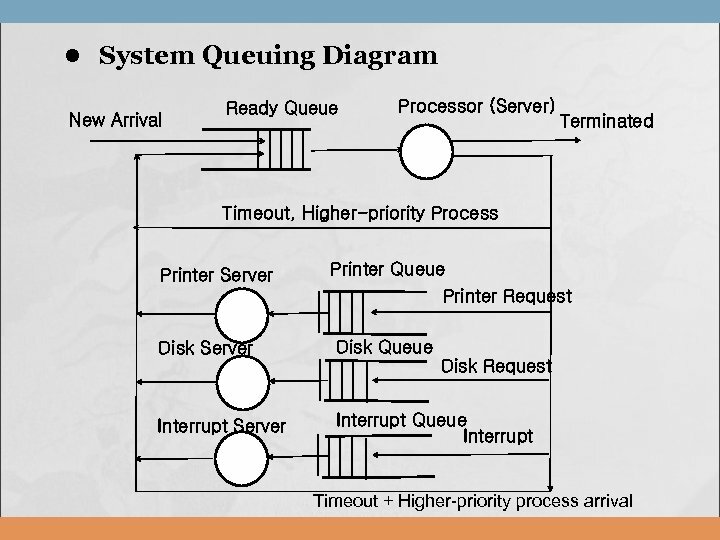 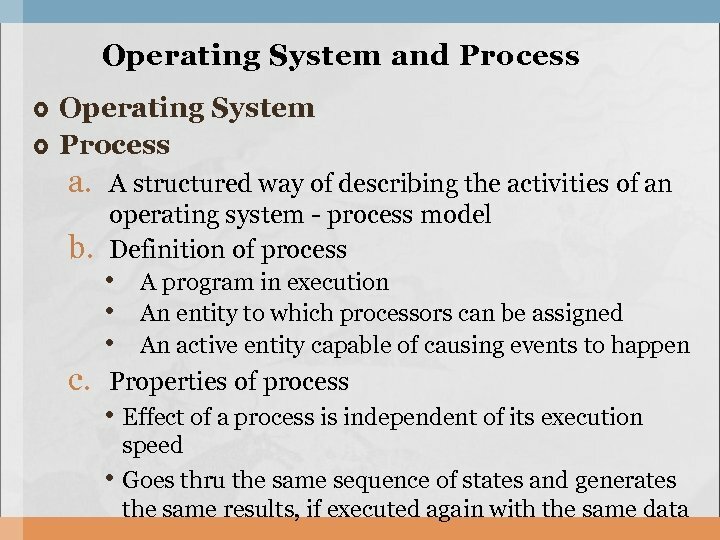 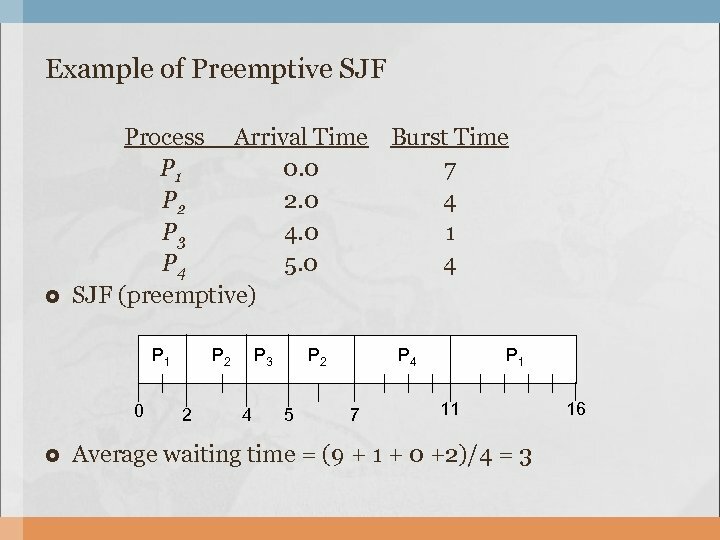 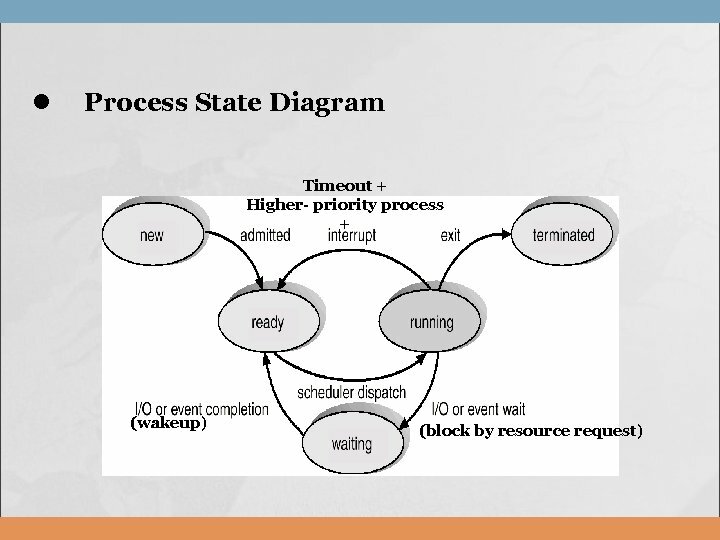 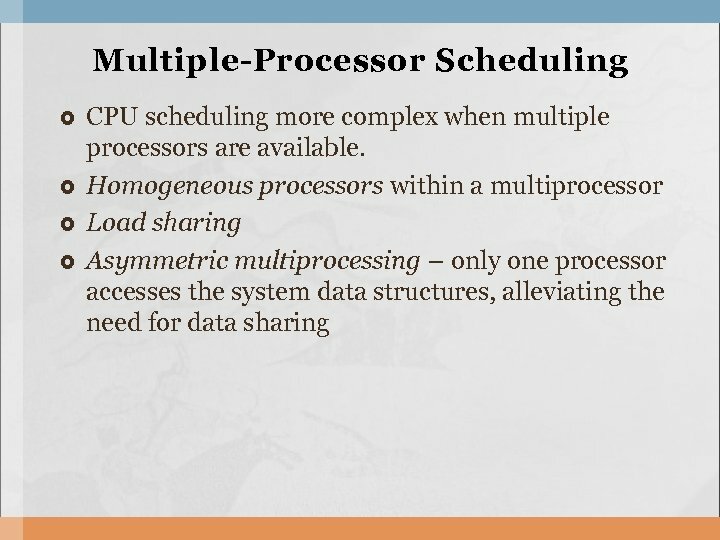 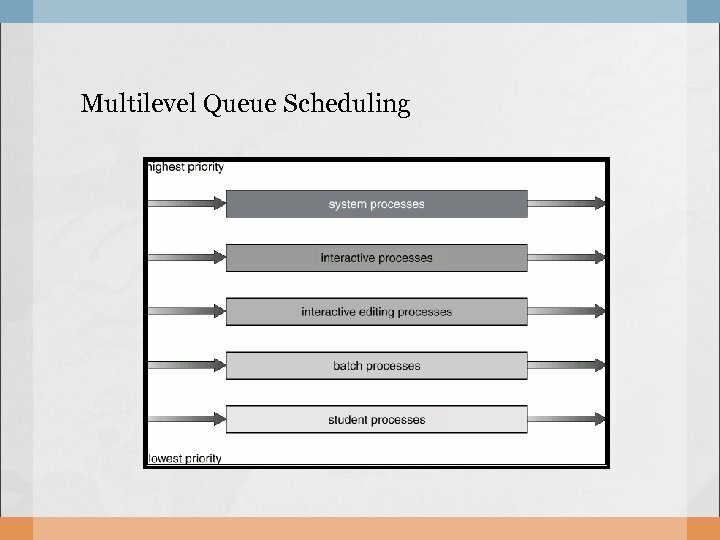 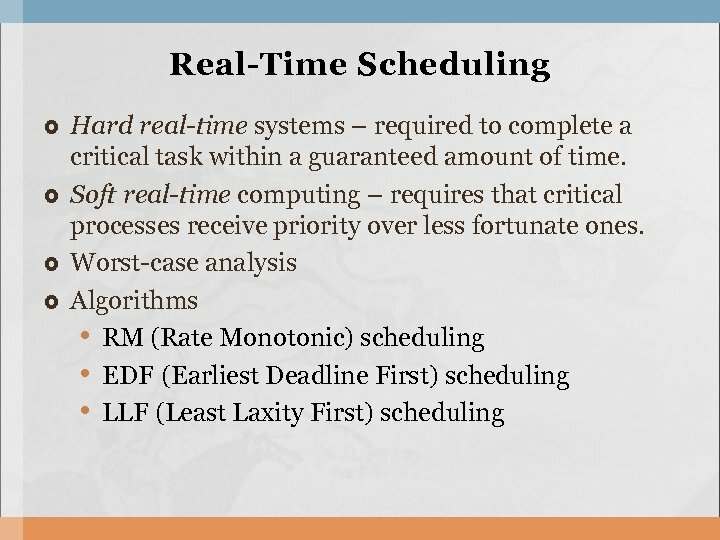 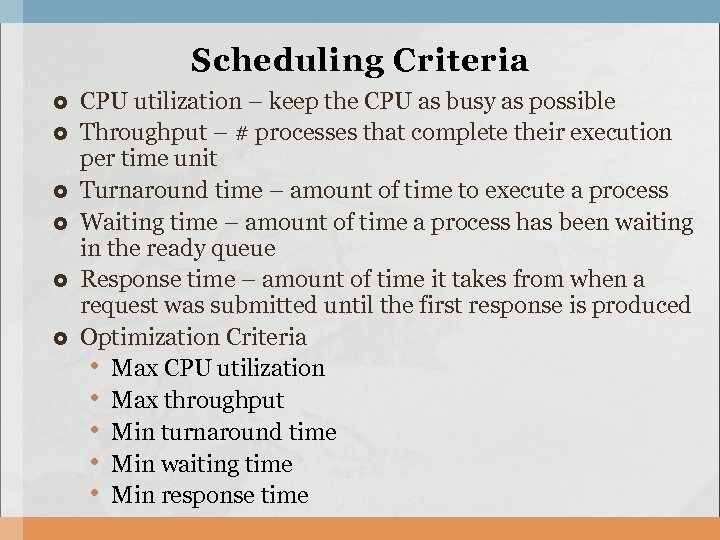 Example of Multilevel Feedback Queue Three queues: • Q 0 – time quantum 8 milliseconds • Q 1 – time quantum 16 milliseconds • Q 2 – FCFS Scheduling • A new job enters queue Q 0 which is served FCFS. 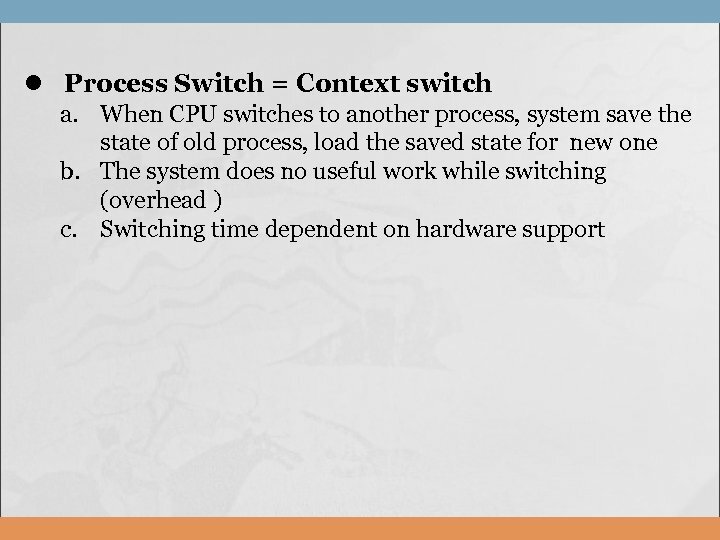 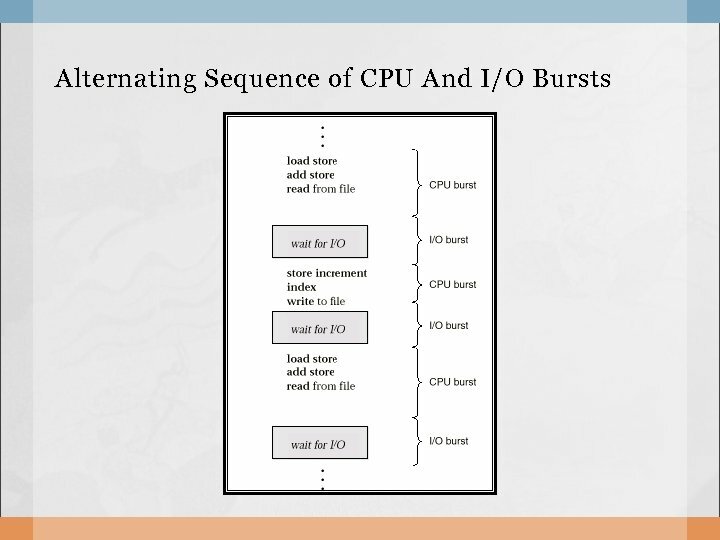 When it gains CPU, job receives 8 milliseconds. 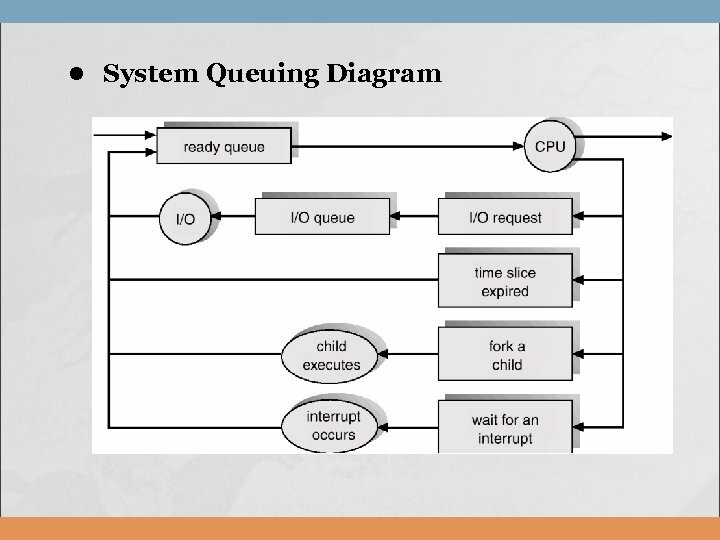 If it does not finish in 8 milliseconds, job is moved to queue Q 1. 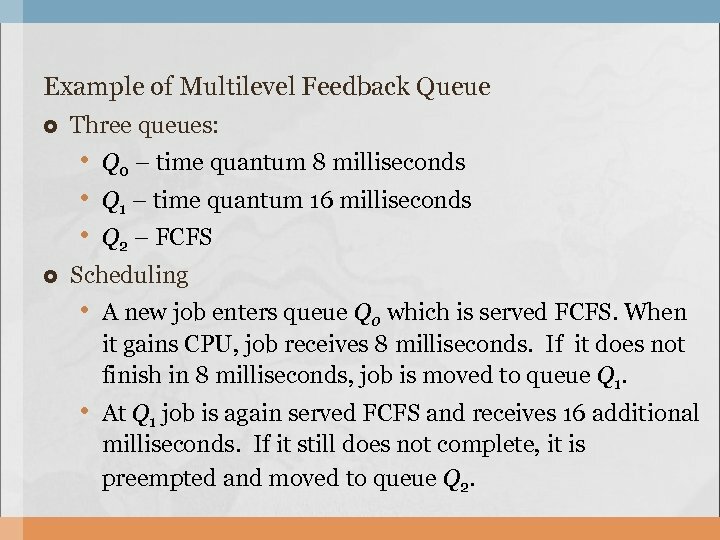 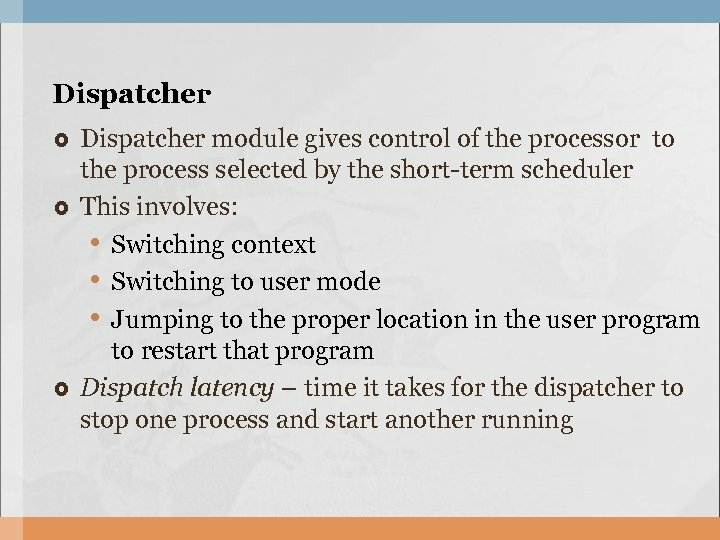 • At Q 1 job is again served FCFS and receives 16 additional milliseconds. 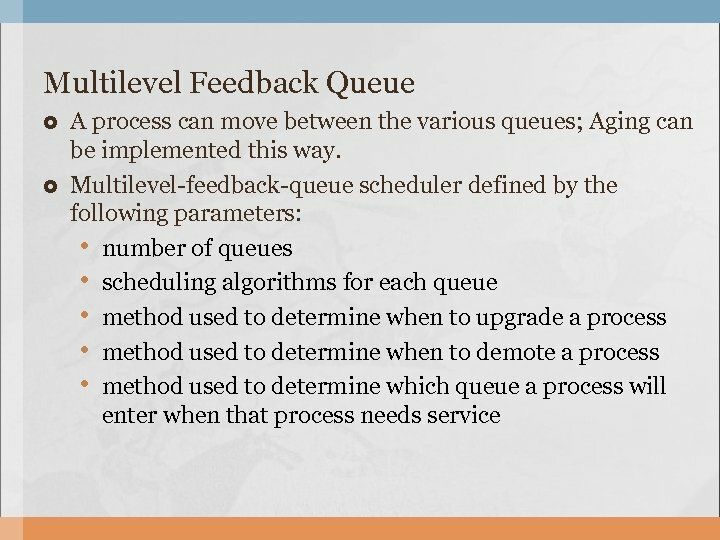 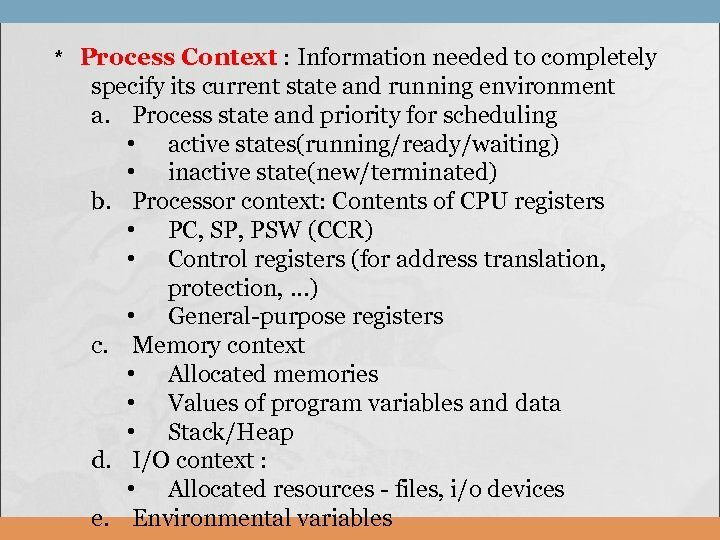 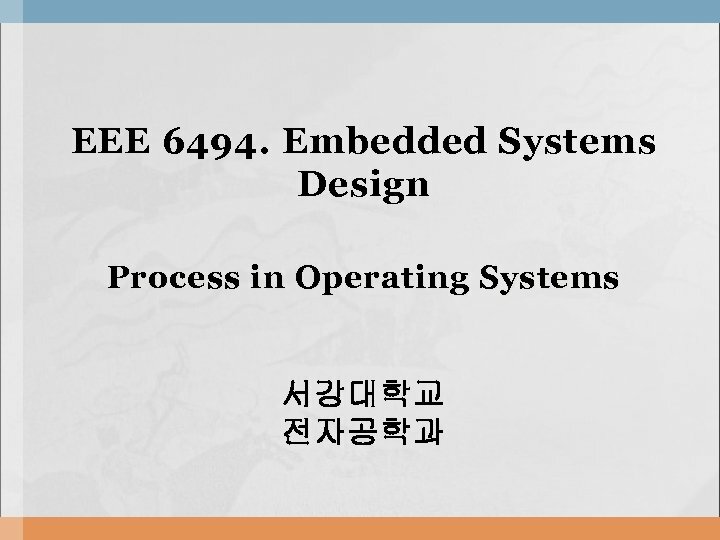 If it still does not complete, it is preempted and moved to queue Q 2.